Community colleges offer an alternative entry into higher education. Ideally, students will complete a two-year degree and advance to complete a bachelor’s degree. But, the ideal is not something you see on a regular basis. Community colleges have shockingly low retention rates and even lower transfer rates. Traditional education models haven’t bridged the gap between community/junior and four-year colleges. So, to improve outcomes, what can colleges do? Online-enhanced programs may be one answer to a very complex issue. College enrollment is on the rise. In the 1990s, college enrollment only grew by 9 percent. From 1999-2009, enrollment increased by 38 percent. The challenge is simple — enrollment does not equal completion. Two-year colleges show completion rates of only 29 percent within three years of enrollment. Four-year colleges do better, with an average of 59 percent within six years. While these numbers don’t include transfer students, they do show the extent of the problem. The United States has slipped from first place to ninth for graduation rates. This leaves higher education institutions struggling to show better outcomes. What About Online Degree Completion Programs? Graduation rates include both traditional classroom and distance learning programs. However, many college students have never take an online course. But, the number that have is expected to grow rapidly. Consider that there are now 6.7 million students enrolled in online classes. More than one out of four college students are currently taking online degree completion programs. That’s a major shift in the higher education landscape. Before online classes, distance learning programs accounted for a very small fraction of enrollment. It wasn’t until 1995 that online classes started. 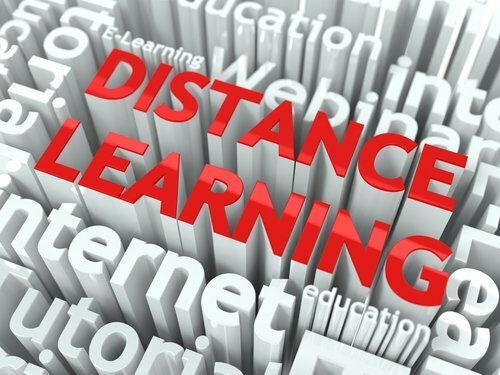 Explosive growth has propelled distance learning from a niche to the mainstream. Students certainly think online learning works for them. More than 70 percent of college students say online courses are just as good as traditional classrooms. A recent study by Ithaka S+R supports their belief. The study showed that online students performed at least as well as students in the classroom. Using outcomes and test scores to objectively measure performance gets rid of bias. A familiar environment makes learning easier. Students that start online may find it easier to finish with online courses. Currently, 91 percent of community colleges offer online courses. That means their students are familiar with this delivery method. By offering online degree completion programs, you give them a classroom that is familiar. Plus, easily audited online courses can make it easier to partner with four-year colleges. A clear map to a bachelor’s degree increases completion rates. Online learning is more flexible and affordable for students. New students have been the driving force behind the expansion of online learning in higher education. Today’s college student might work full time. They might have social commitments or a family. Even with challenges, prospective students want to pursue a degree. You can tailor online degree completion programs to meet that need. Students can take all classes online, take some classes online or enroll in hybrid classes. Students have the option to finish faster and spend less on an accredited degree with online classes.